Sorry this is a little late, Sunday’s schedule got a little tricky, I stayed out way too late on Saturday night (and had a few glasses of wine), and needed a mid-morning nap. Then I got a phone call after PJ’s basketball game from my girlfriend that was at Ryan’s basketball game that started with, “Hi Laura….Ryan’s fine…..BUT…..” I could tell by her voice that everything was okay, but that the BUT meant Ryan was hurt (she got a similar phone call this summer about her son when he was hurt). He was. 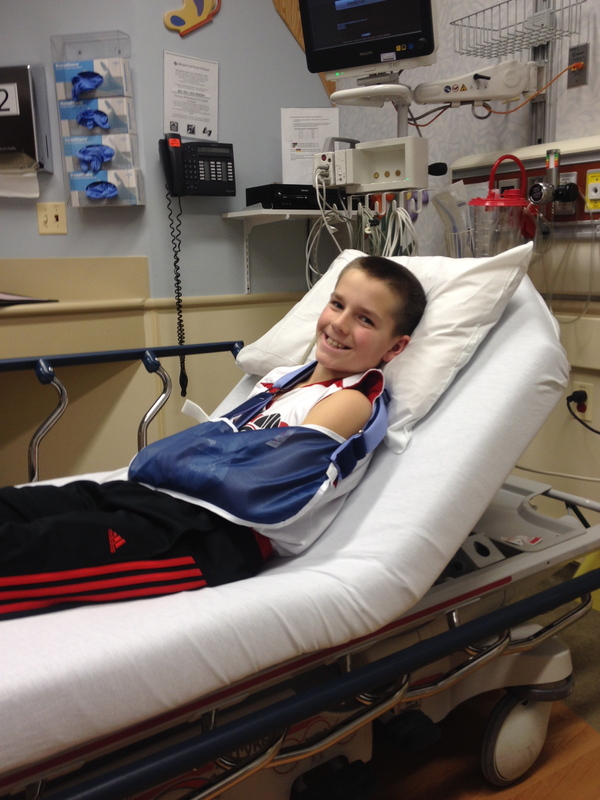 He broke his arm. The poor kid seems to break a bone every year. 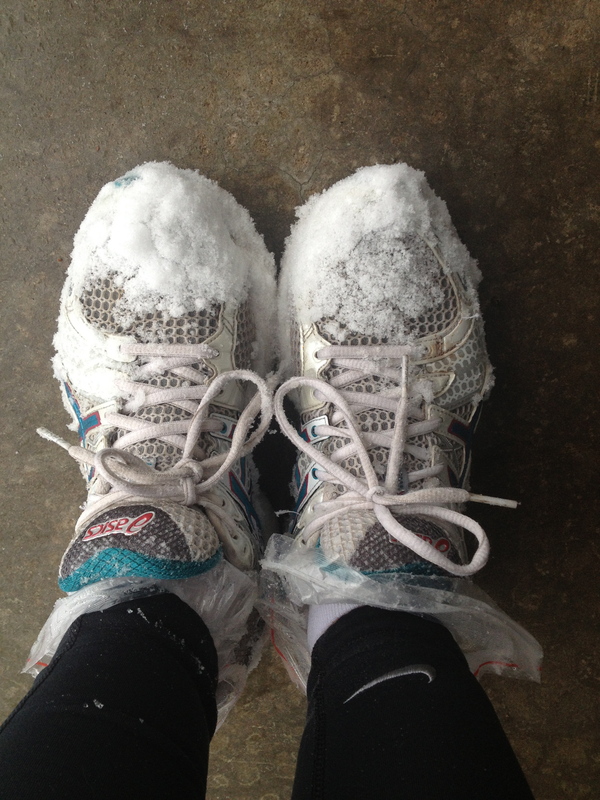 Thought I would share some random pictures of my snowy shoes and feet from my run on Saturday. It was totally snowing and we were a few of the goofy ones out running. 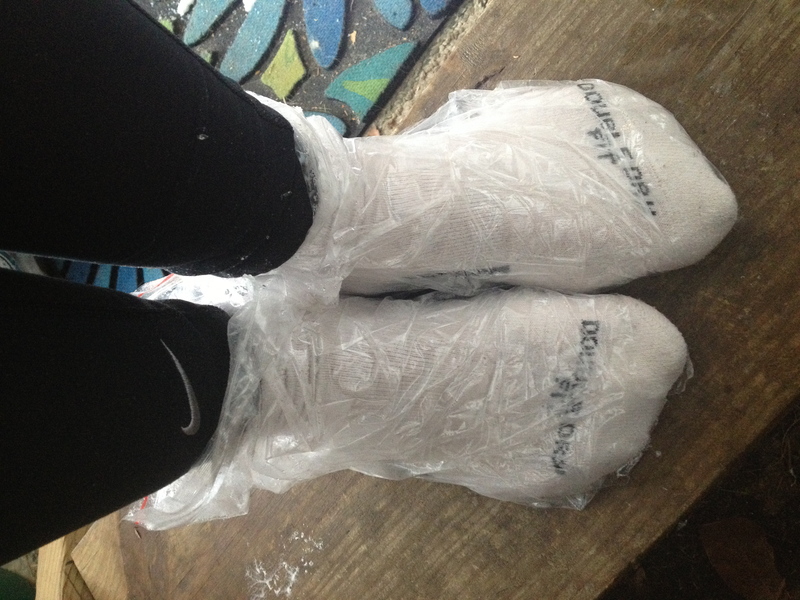 I put plastic baggies over my socks to keep my feet dry….it kept the snow out, but my feet got extremely sweaty!! It was actually a good run because it wasn’t so cold…. So…needless to say, the schedule was a little off! This week we have class Wednesday and Friday at 5:15 AM!! NEXT WEEK CLASSES: So, I think everyone has a different schedule that they are trying to wrap their heads around, but we will take it week by week when it comes to times and we can adjust accordingly. On Monday, Tuesday, and Friday (23rd, 24th, 27th) of next week we are going to have class from 6-7 am. On MONDAY we are going to breakfast at 7:00 am at BRUNCH CAFE!! MY TREAT!!! PLEASE COME!! I want all of you there!! If you haven’t been to class in a few weeks, I would still love for you to come to breakfast. I am going to call and tell them there will be 12-15 of us!! If you can’t commit to the two weeks you can pay for just one week or pay a walk-in rate. 3 days per 2 weeks=$40; 3 days per 1 week= $20; 2 days per 2 weeks=$30; 2 days per 1 week= $15; walk-in daily rate=$8 per class. Hopefully that makes sense…. ← Lots of Snow!! Maintain! !